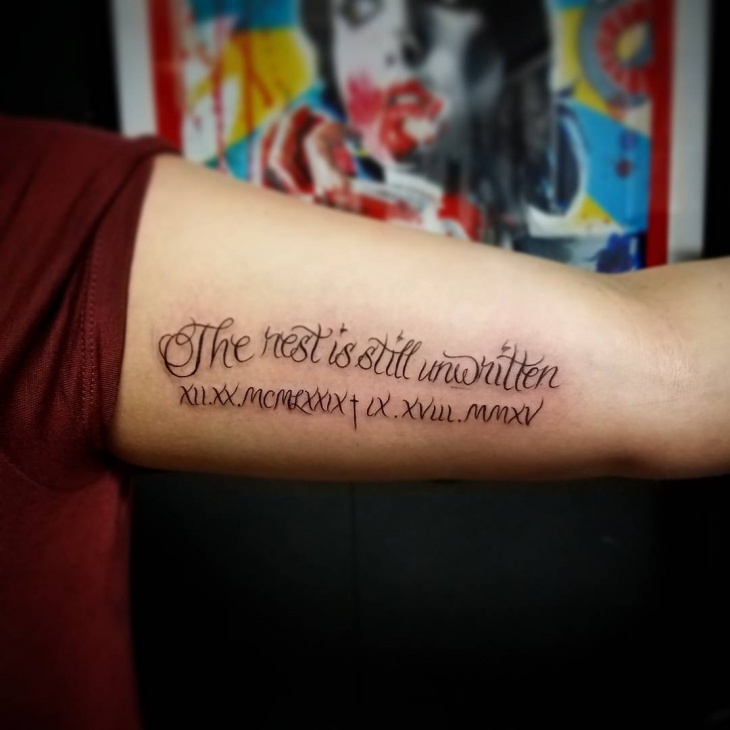 If you want to ink your tattoo on a visible yet spacious body part, then arms are the perfect place. 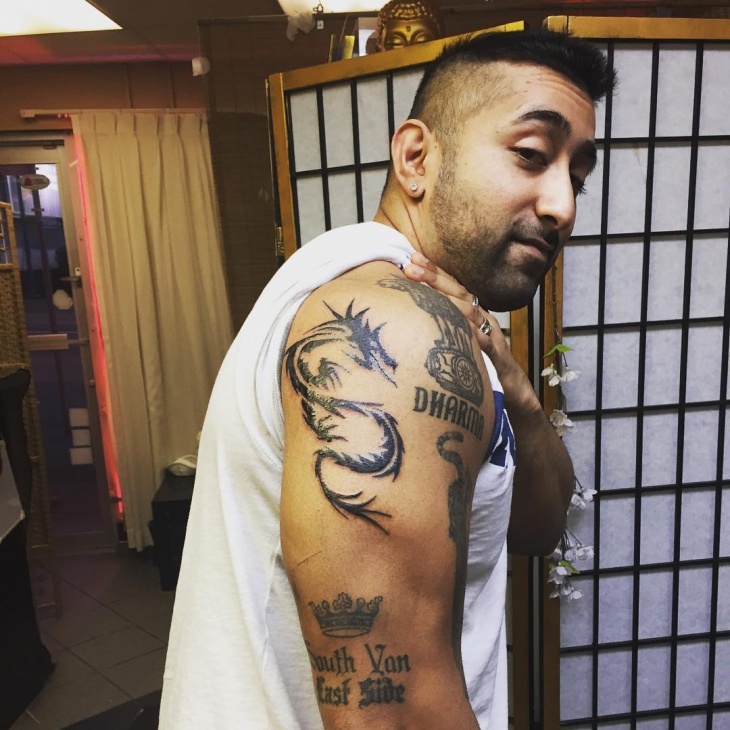 Arm tattoos are pretty common with men as they use these tattoo designs to showcase their biceps as well as personality. Women can also opt to decorate their arms by choosing designs that reflect their character and femininity. Whether full sleeves or half sleeves, arm tattoos are visible and tend to make a bold statement. 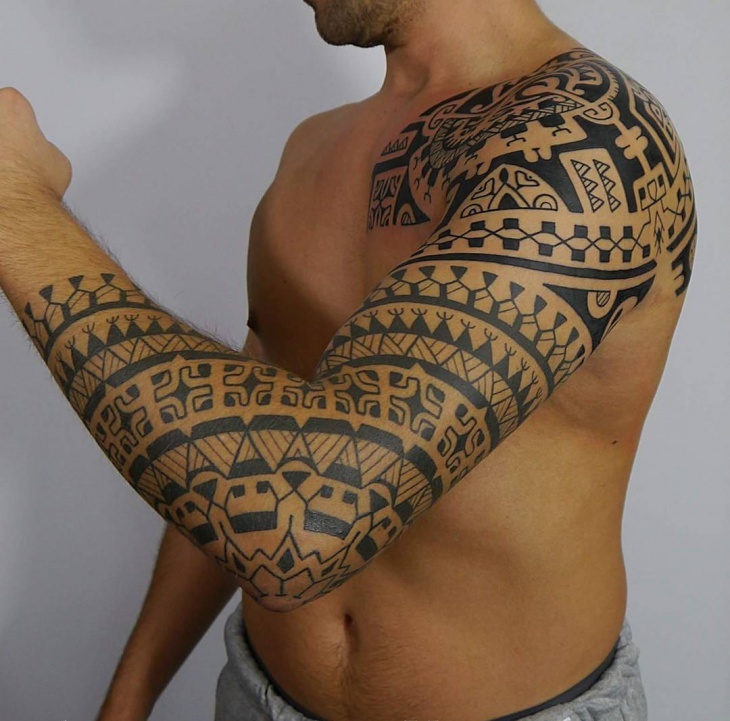 Tribal arm tattoo design will make a man look like a warrior. 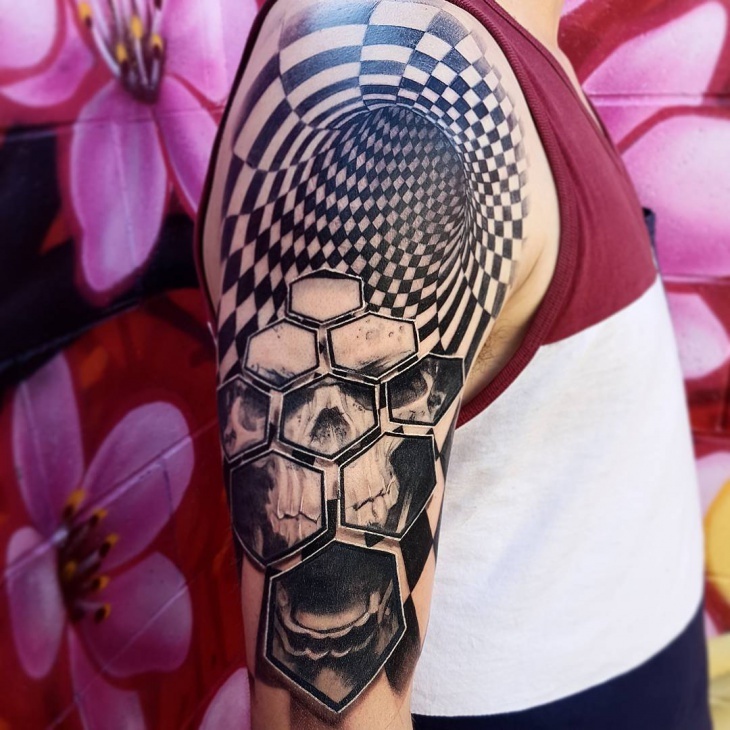 These tattoos have a deep symbolic meaning in various cultures and tend to enhance the beauty of arm muscles that is why they are a favorite to many men. 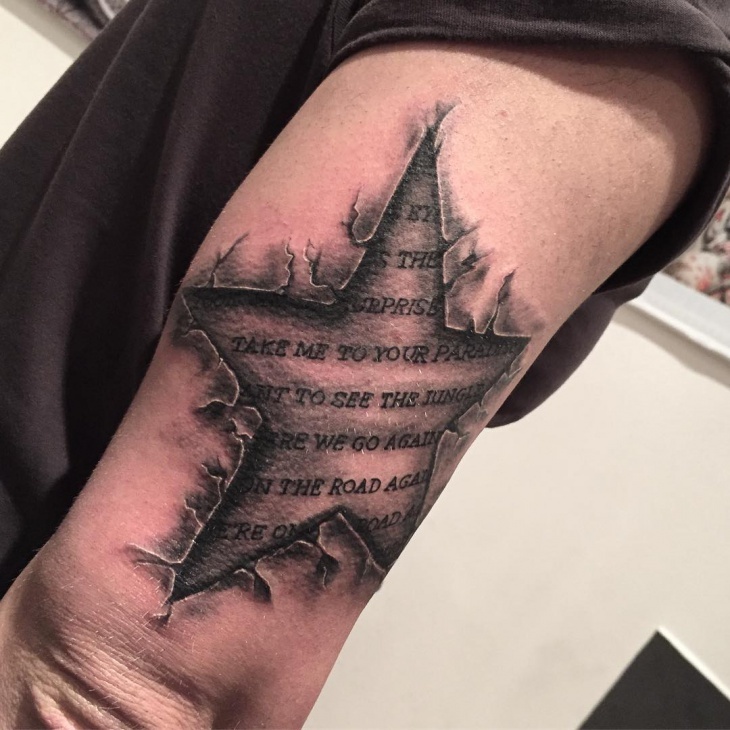 If you need your tattoo to be less visible, then go for inner arm tattoos. Men and women usually choose these designs for their meanings instead of their decorative purposes. 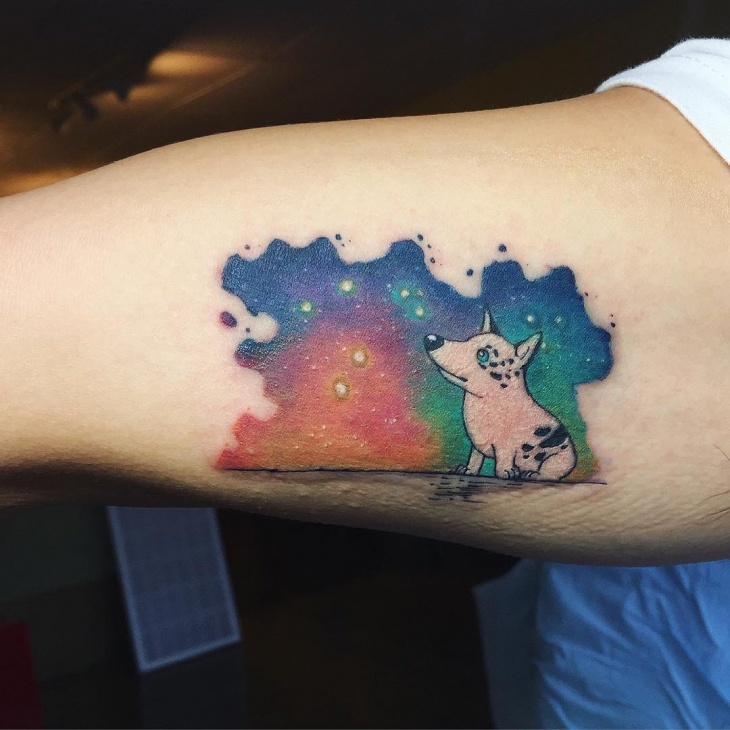 These tattoos are not very popular hence getting this tattoo will depict your love for unique things. Small arm tattoos are perfect for ladies or men with a lean body. These tattoos designs can be simple or intricate depending on a person’s preference. When done right they decorate the arm in a subtle way. 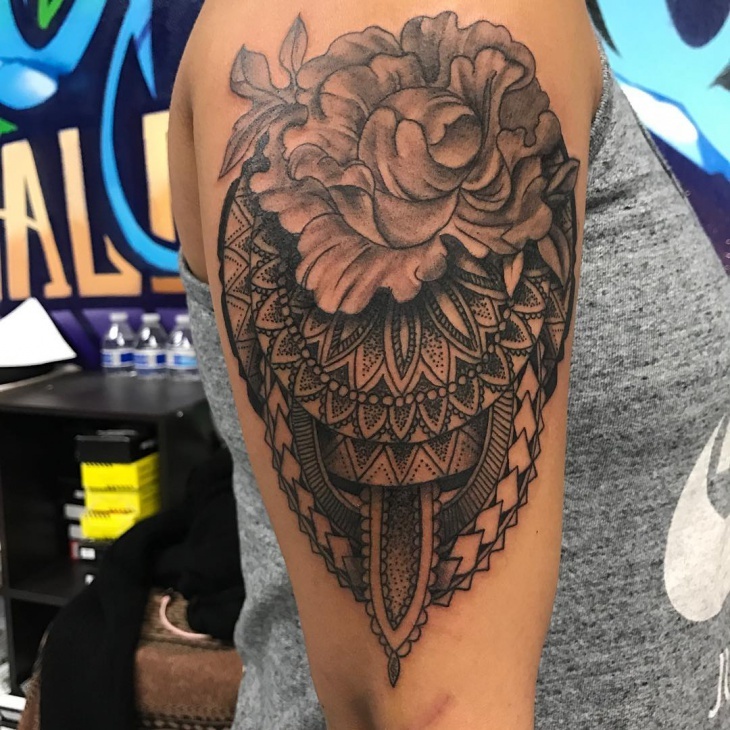 The best way to make your tattoo beautiful is to incorporate a flower. 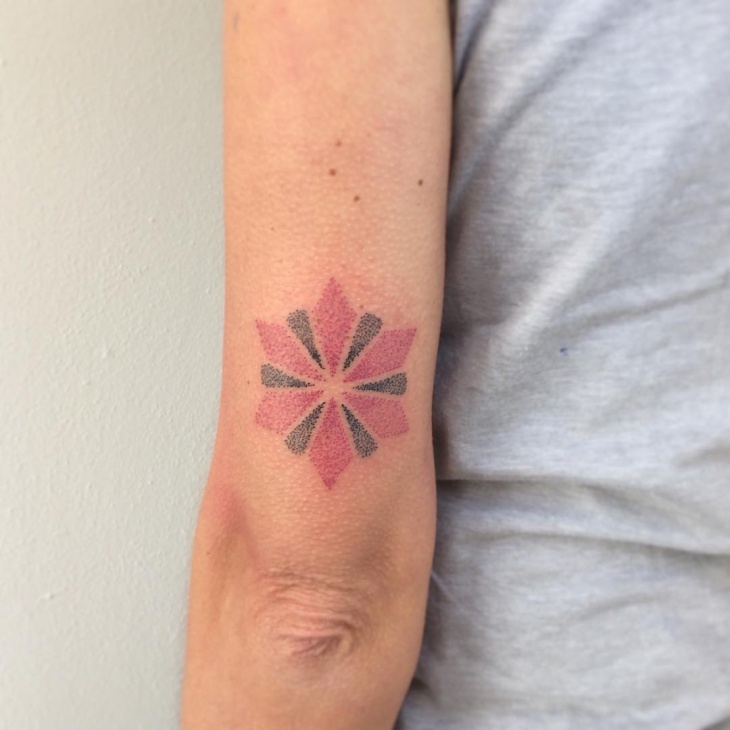 Flower tattoos, especially on the arm, are eye-catching. 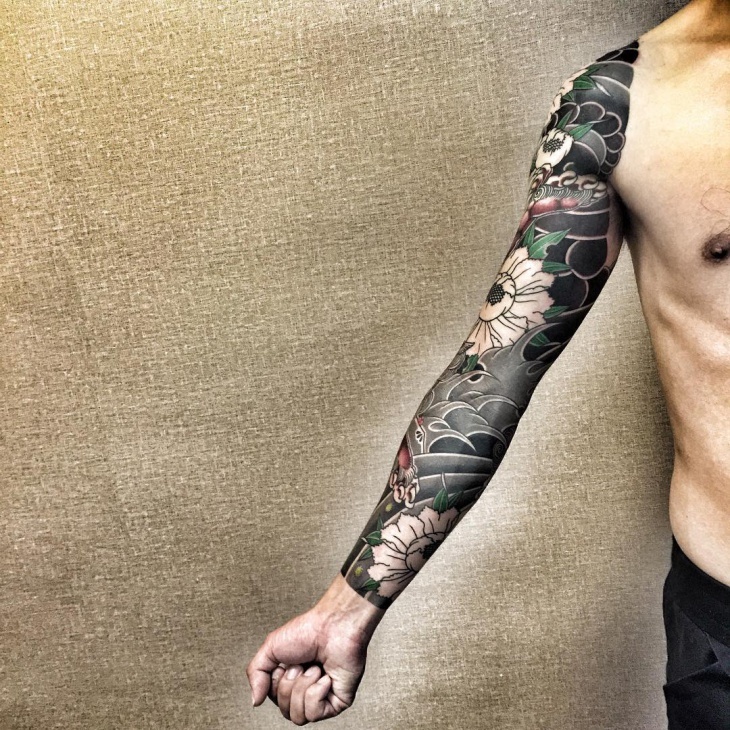 To put more focus on your arms, you can opt for colored flower tattoos. Lotus, cherry blossom, rose, lily, peony, hibiscus or orchids are very popular. 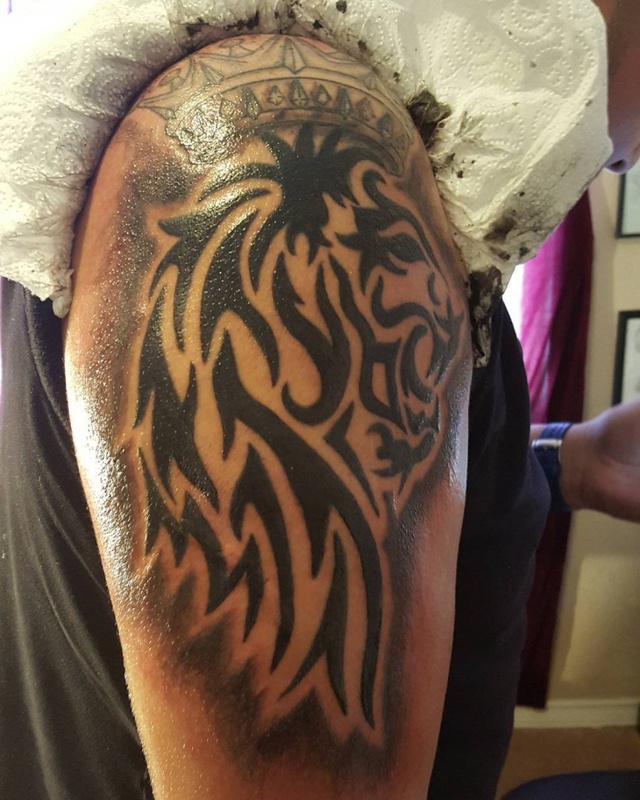 A lion is known as the king of the jungle, and you get a lion tattoo to show immense power. 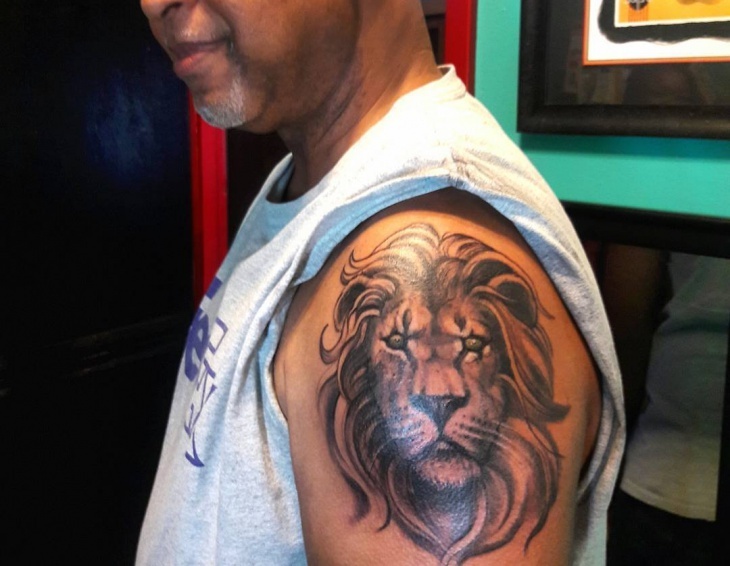 You can also get this tattoo to showcase your Leo zodiac sign. For a bold look, go for a tribal lion’s head. 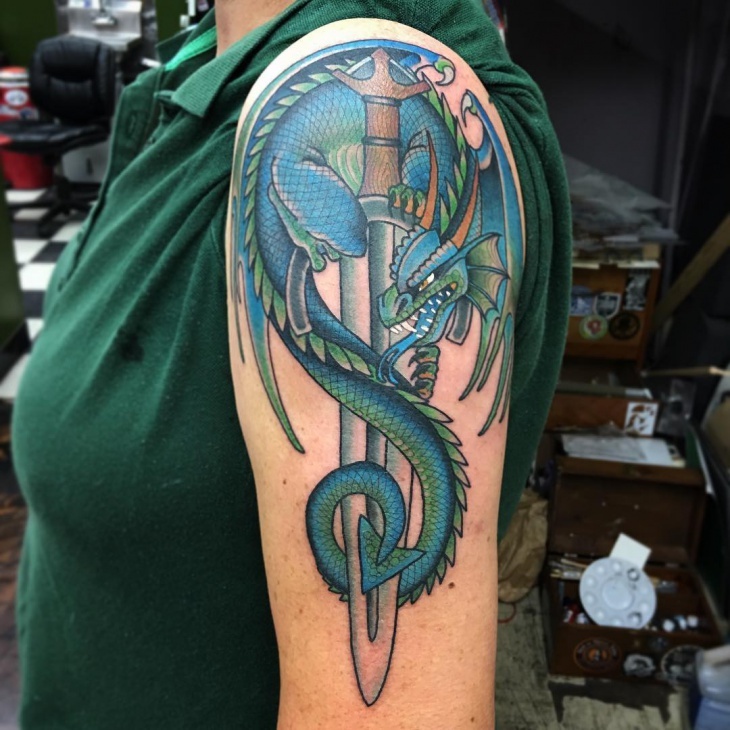 When looking at Asian tattoos, dragon arm tattoo designs are definitely a favorite to many. This mythical animal symbolizes luck, longevity and wisdom. You can use the jade dragon to show your fierce traits or to depict your quest to defeat evil. 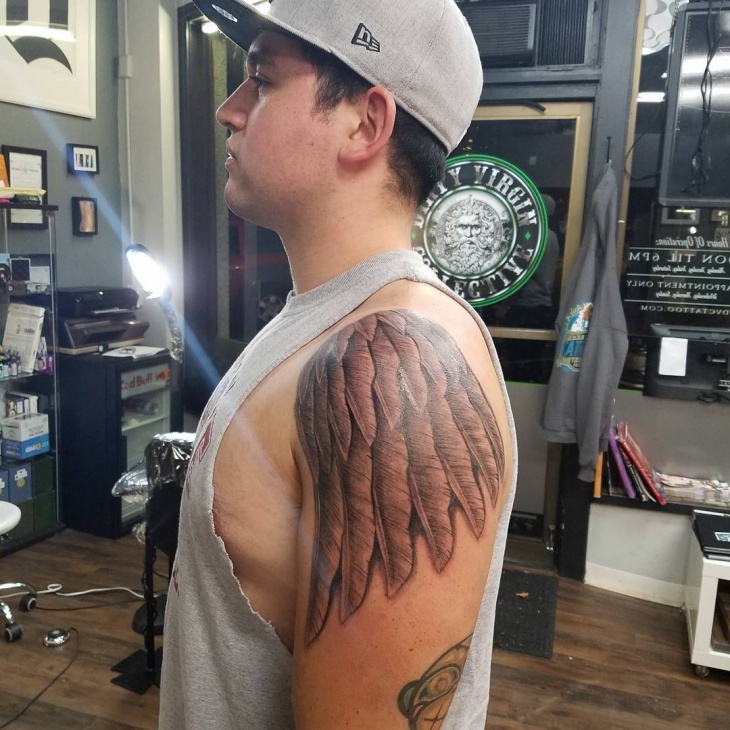 Wing tattoos on the arm carry unique meanings like a connection to a higher power or spirit and ancestral heritage. You can also use this tattoo to depict freedom, faith, love, death or to remember someone you lost through cancer. 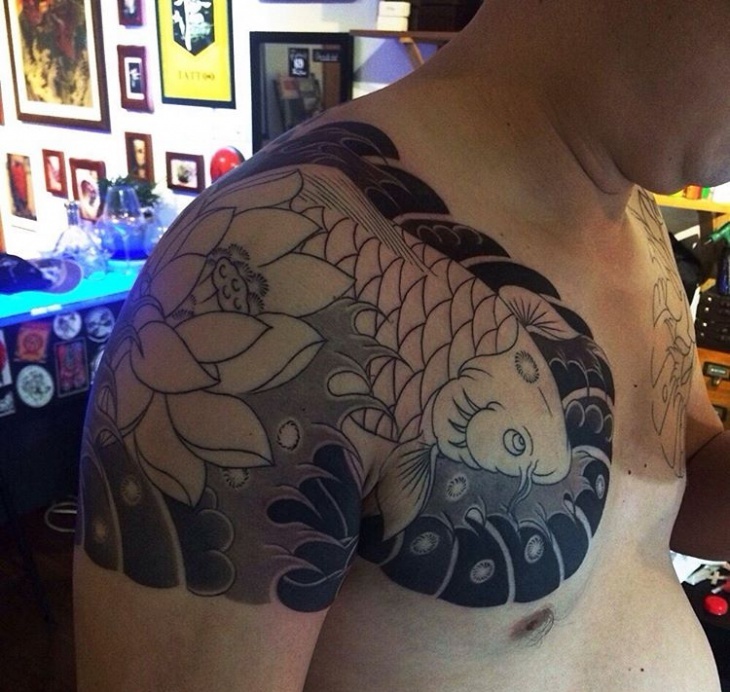 Do you want your tattoo to look realistic? 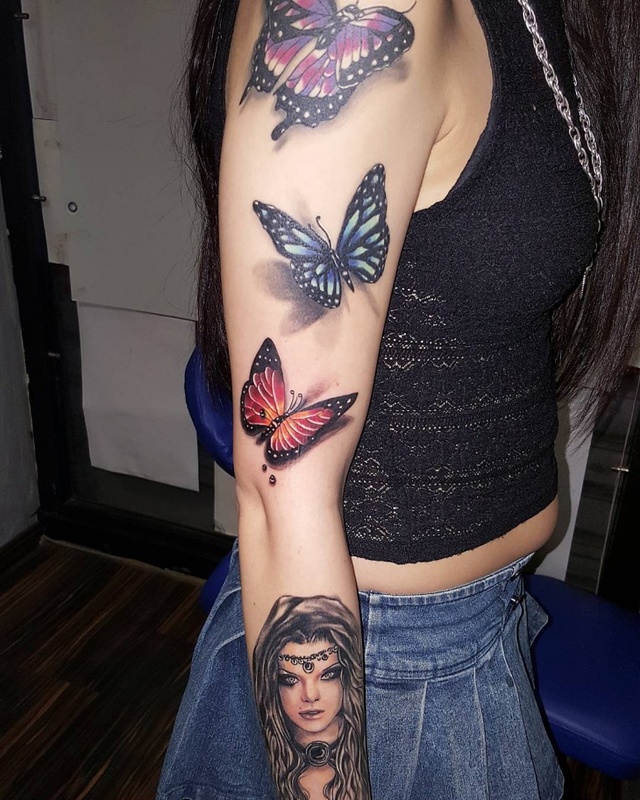 If yes, then opt for 3D arm tattoos. 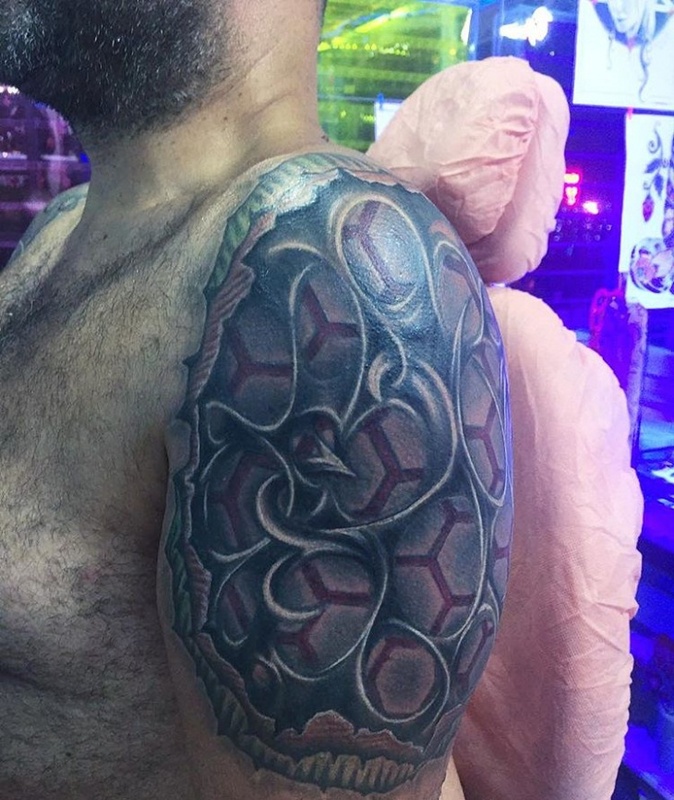 A 3D tattoo will look as if it part of your arm. 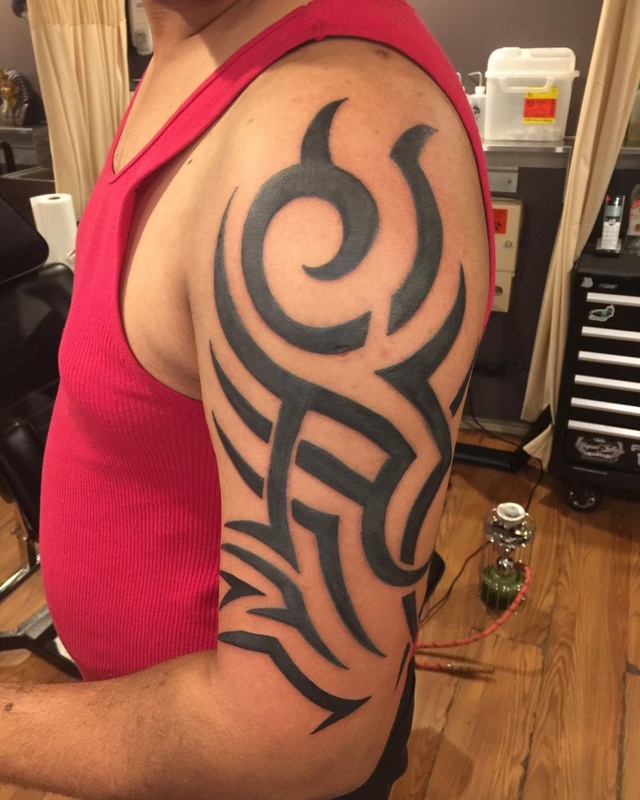 Individuals who need a subtle effect should choose hand tattoos that use black ink only. 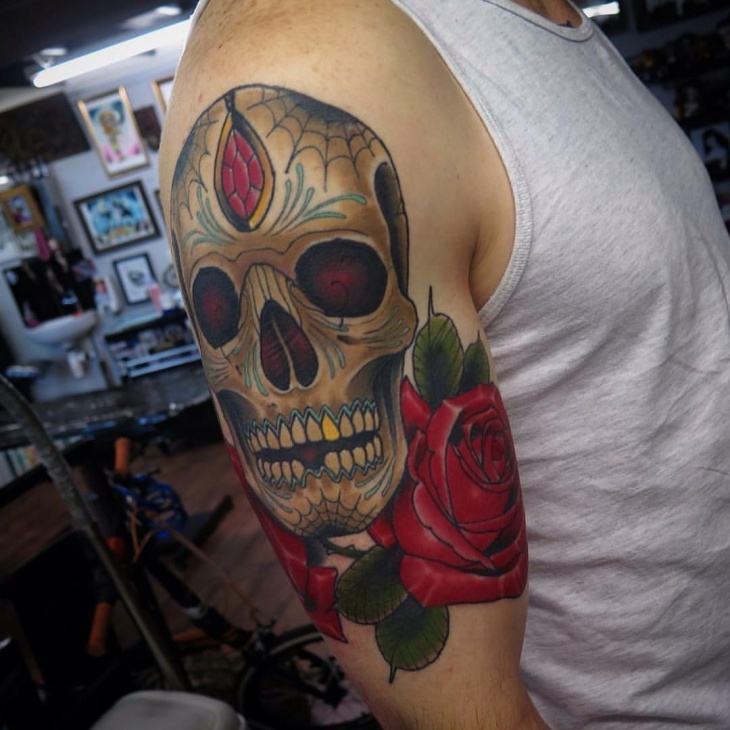 Skull arm tattoos are popular in many cultures. They are a symbol of death, danger, evil, and adaptability. 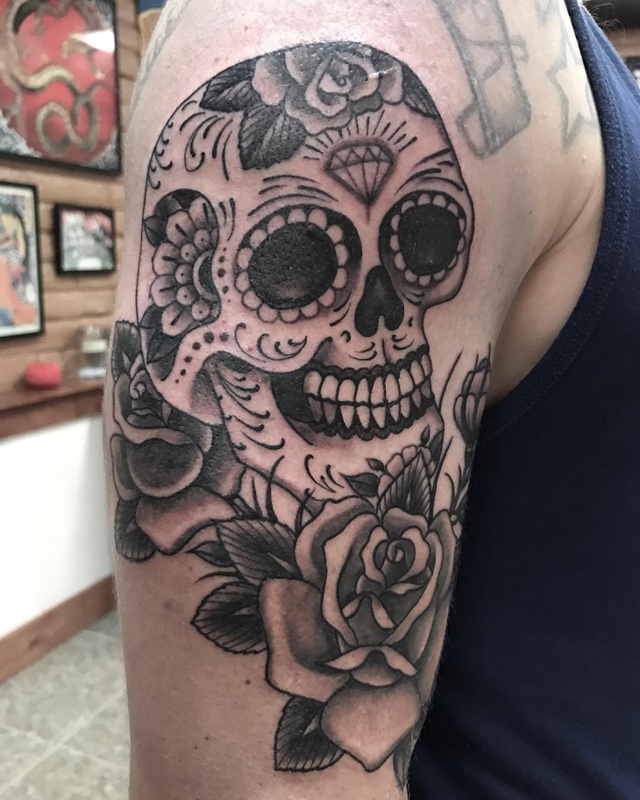 However, a skull doesn’t have to look scary; the sugar skull tattoo is bright, attractive and will help you keep alive the memory of someone you lost. 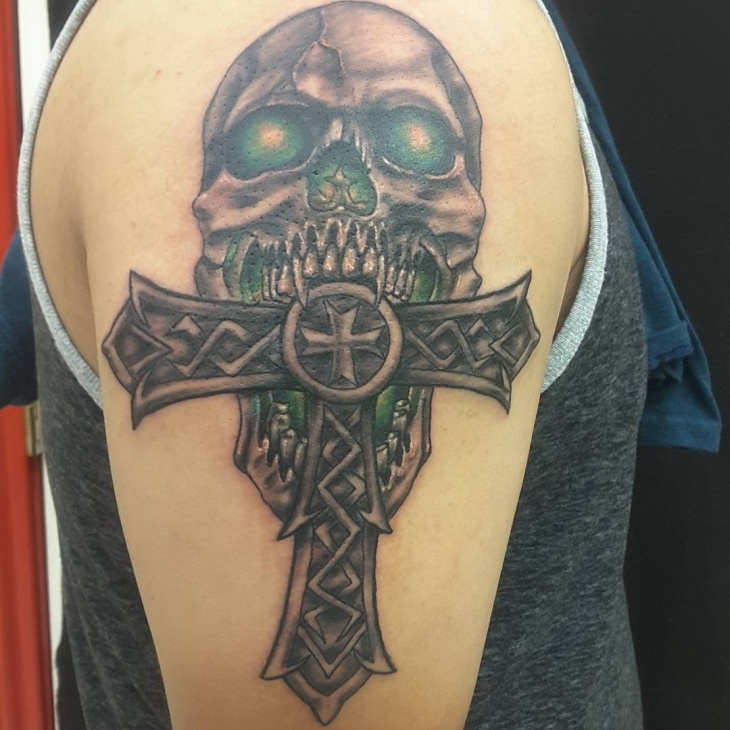 There are many ways you can represent your faith and arm cross tattoos is one of the best. 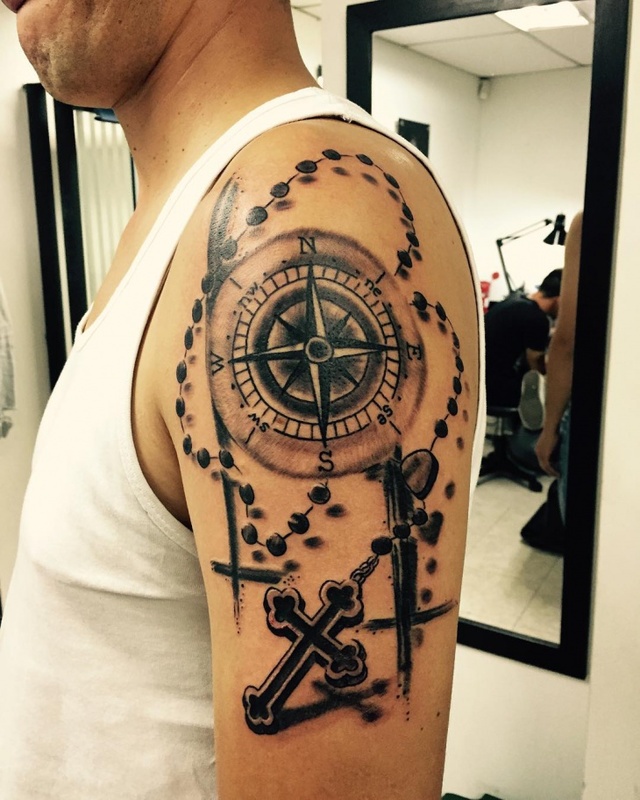 The cross will be visible, and you can even include a rose flower or rosary hand tattoo to showcase your Christian faith. 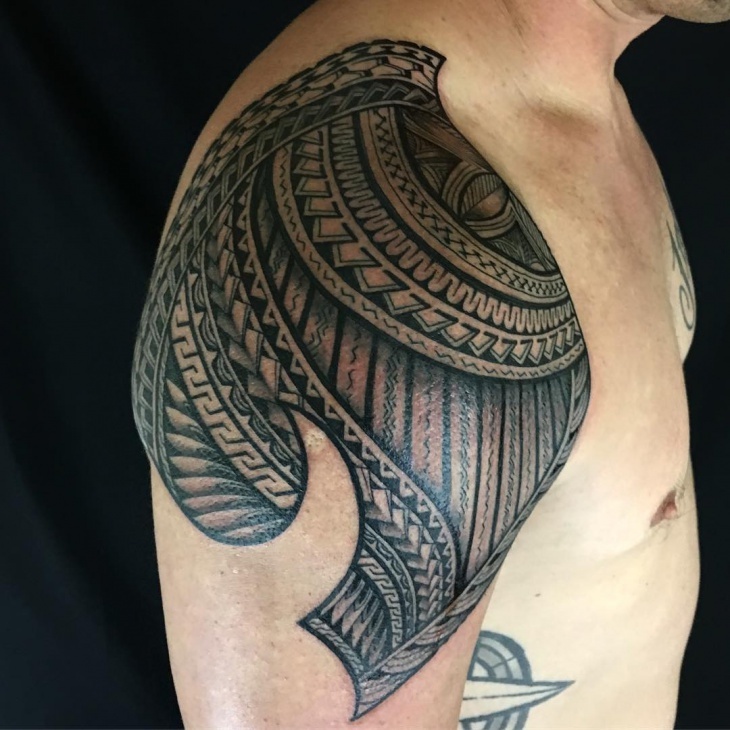 Polynesian arm tattoos tend to incorporate unique symbols such as shells, the sun, lizard, spear heads, Marquesan cross, tiki, ocean and shark teeth. Each symbol has a deep meaning that people can equate to their traits. 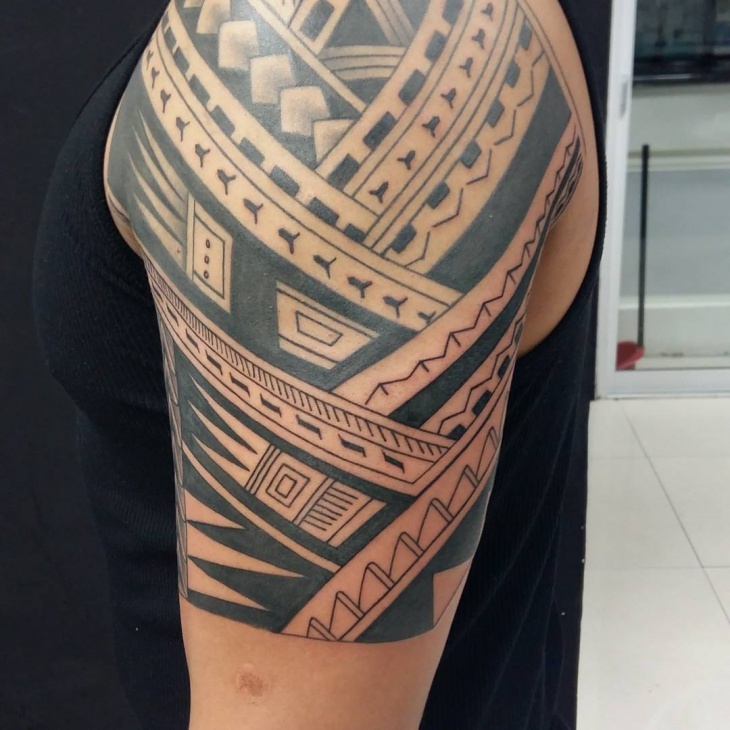 Polynesian tattoos bring out attention to the arm. 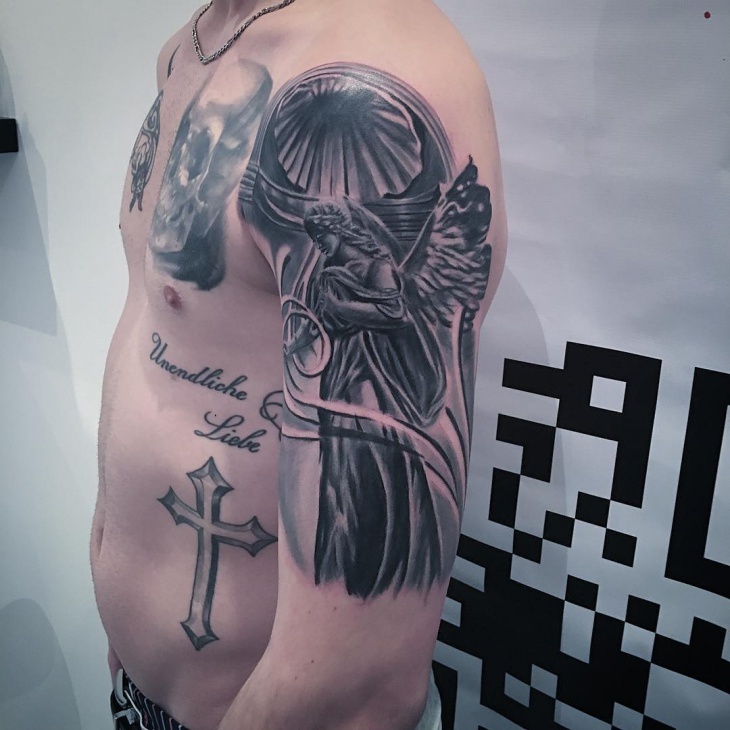 Whether as an image or as a calligraphy text, angel tattoos on the arm show belief in a higher power. They are also a symbol of overcoming adversity, guardianship, victory and power. 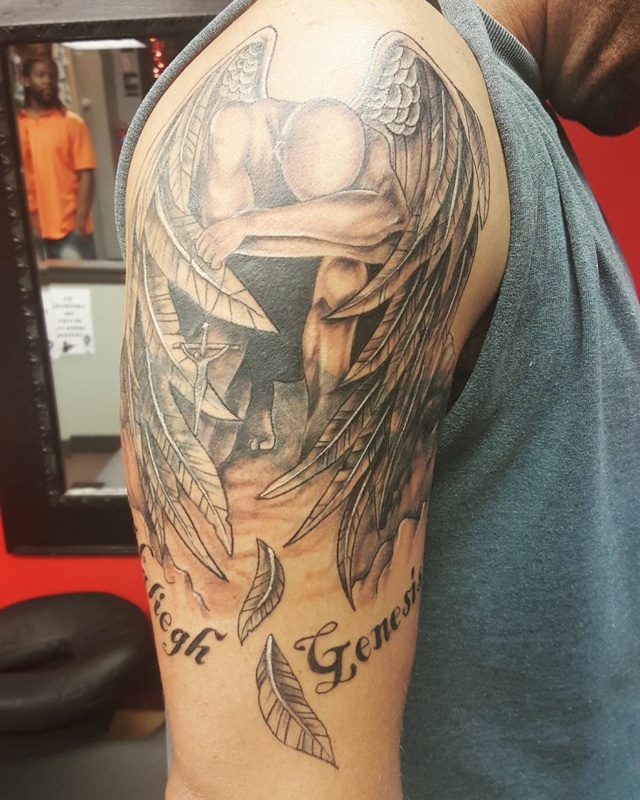 Add a sword, harp or dagger to make your angel authentic. 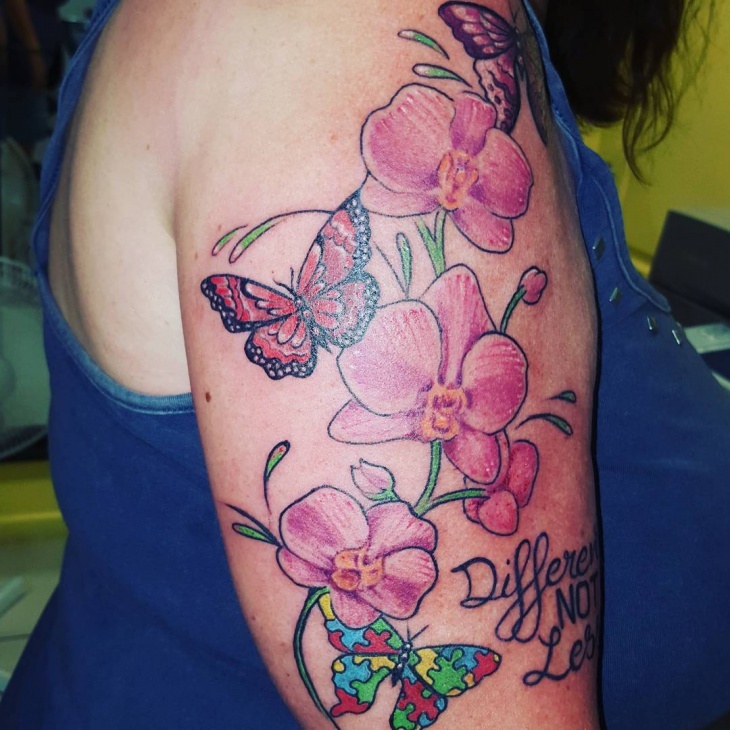 A full sleeve tattoo takes a longer time to finish, however, if you don’t have the time, a beautiful butterfly on the arm will having you looking great in no time! Butterfly wings colored in different shades are exceptionally alluring. 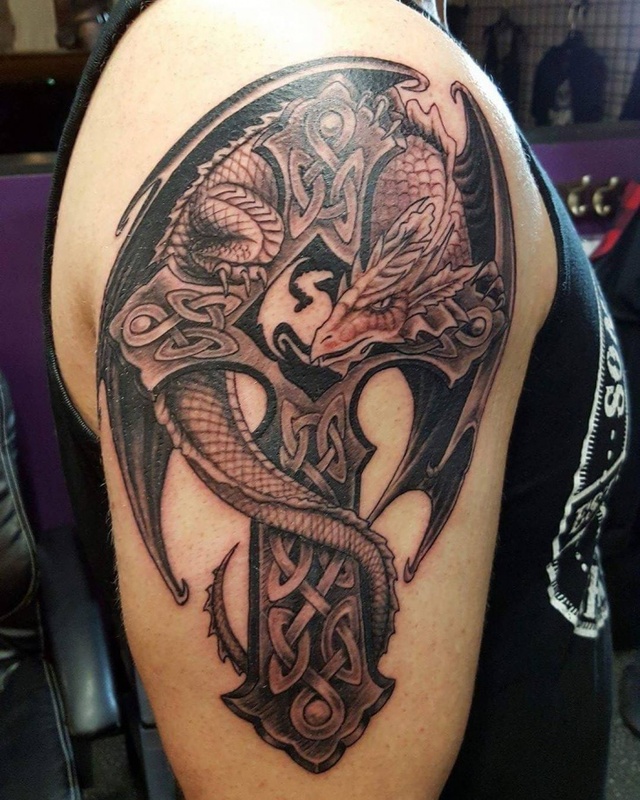 Celtic arm tattoos have been popular for a very long time. They feature interconnected loops and thick line work. 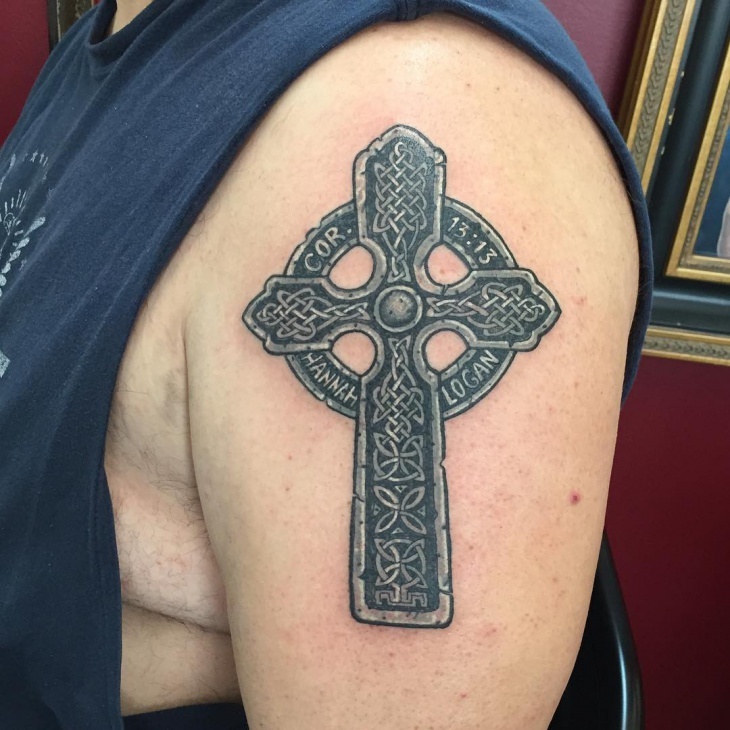 These designs are timeless because you can take any tattoo and draw it in a Celtic style. 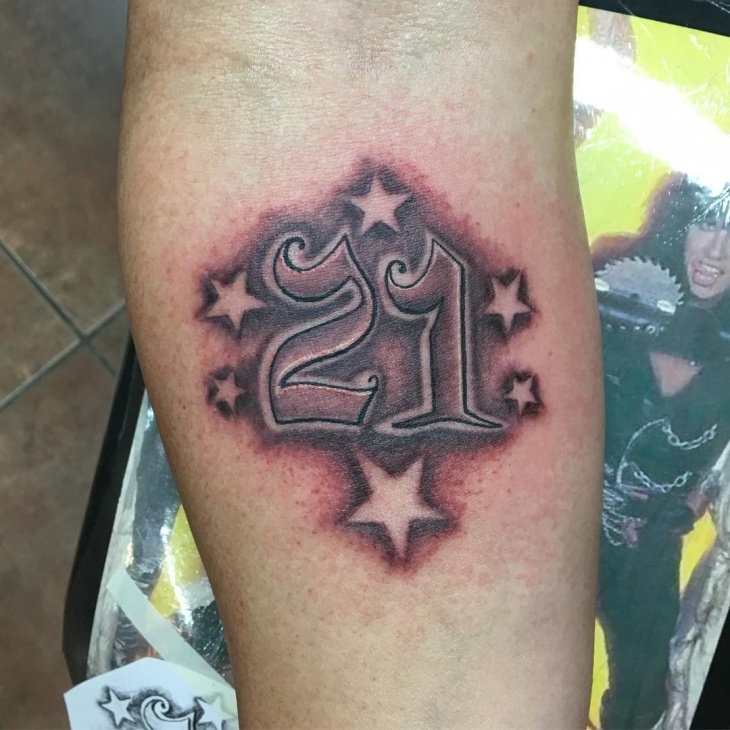 Forearm tattoos will be visible to anyone so ensure you get a design that you will love to show off. 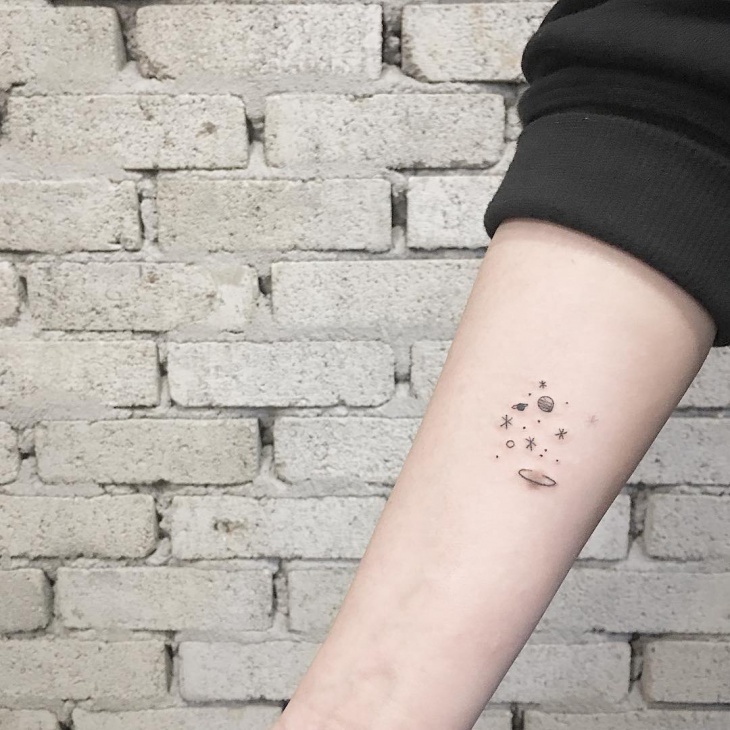 Star tattoos are simple and pleasing to the eye. They don’t point to a particular gender so anyone can place these symbols on their arm. 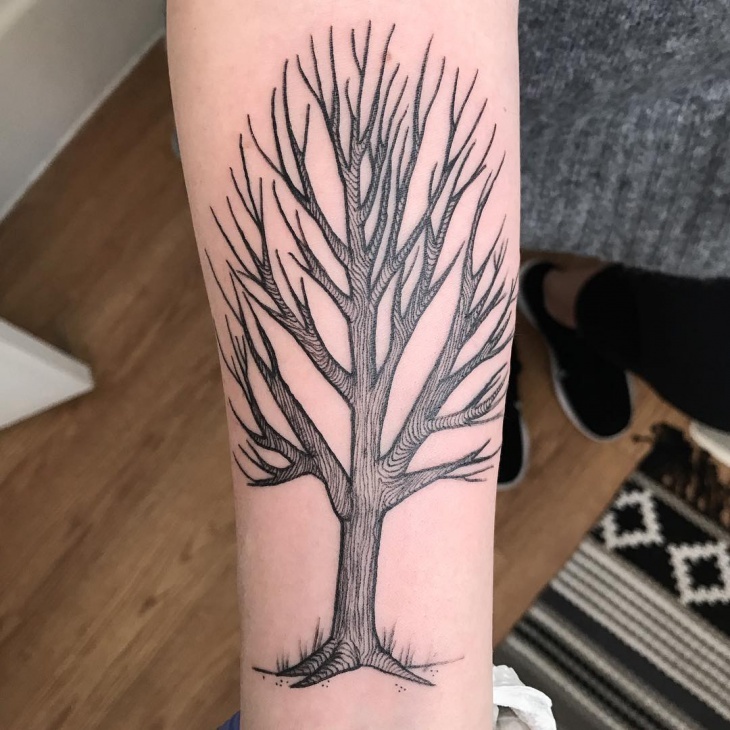 Show love for your heritage by going for tree tattoos. Tree tattoos present the beauty of nature, resilience and rebirth. 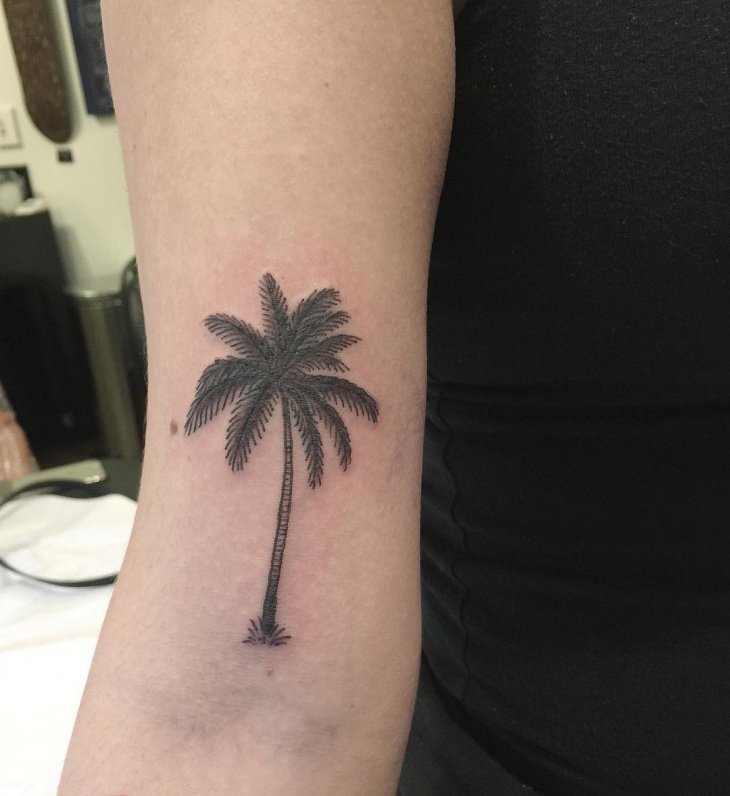 Choose your ideal tree and get inked on the arm where everyone can see it. 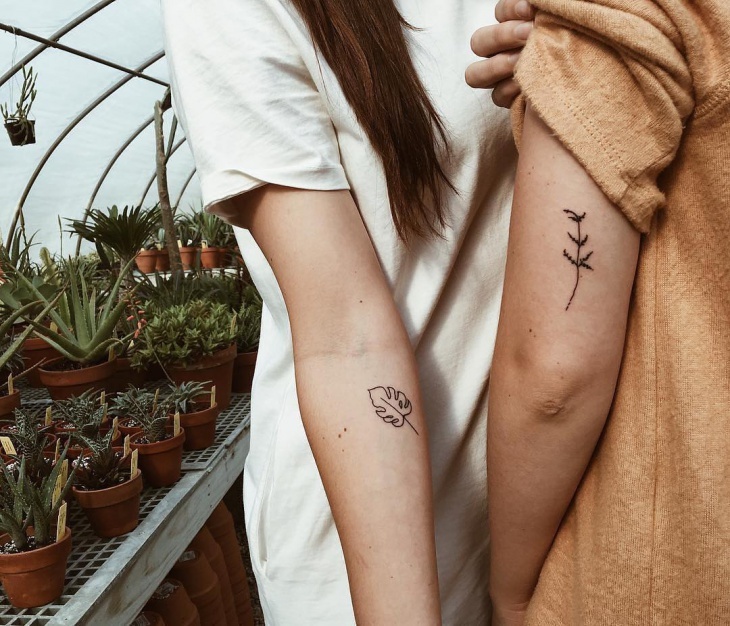 These tattoos are for people who love nature or outdoor activities. 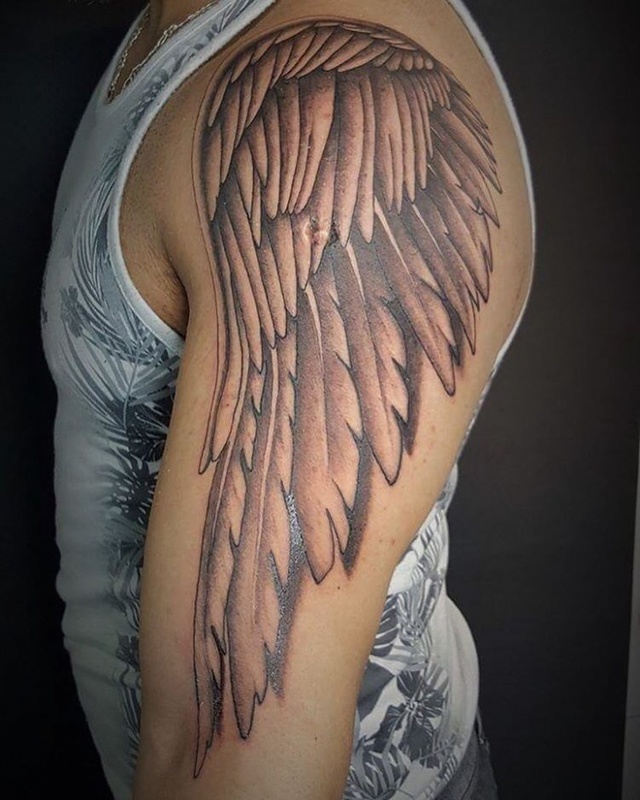 With limitless design options for arm tattoos; whether you are a guy or woman you will get a design that will easily depict your personality. With sleeve tattoos, you can show off your design by wearing a sleeveless shirt or cover it up with a long sleeve outfit during formal events.